Where is the year going? This is really the time of year when it seems like we are all on fast forward. On the one hand I want to move ahead to to the fun fall activities and weather, on the other hand I really need the days to just SLOW down! But here we are well into October. I have to share a super fun Halloween kit from Scrapbook.com called Halloween Curiosities. You can pick one up HERE without a subscription. Is everyone ready for Halloween this year? We have costumes and started decorating today. Now to plan the visit to the pumpkin patch--my favorite! 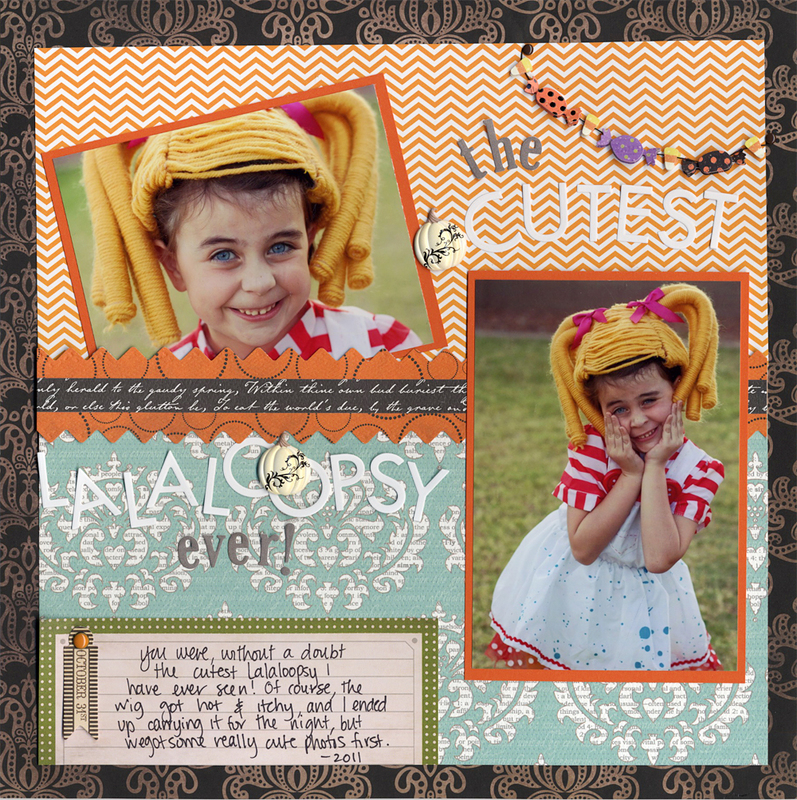 Dont forget to check out the Scrapbook.com Halloween Curiosities if you love Halloween as much as I do! Oh what a cutie patootie whe was , love her hair! !, awesome design on that second layout Rebecca! Those Halloween pics are seriously so cute! I like that you got in a few of the photos too. Love the layout with all of the circles - cool design! those pictures are SO fun! LOVE the wig--and I LOVE Halloween, we are SLOWLY getting our things out! :) GREAT layouts my friend! What fabulous layouts girl!! I have to say that the second one with the circles is one of my favs of yours! We too are getting ready for Halloween....it's such a fun time of year! All your layouts are just wonderful!!! (I commented on your third one over at SB.com). But my fav is the last one because it inspired me. My daughter's favorite color was purple for the longest time. But now that she is 10 (going on 16!!!!) her favorite color is black! I am going to borrow your idea to scrap about purple being her favorite color, once-upon-a-time ago, too! Oh my, these layouts are all so great! I just love the costumes too. 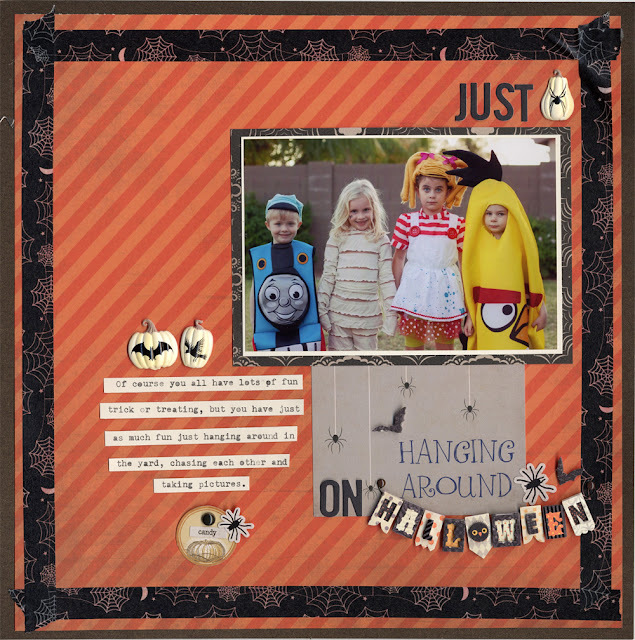 such great halloween pages! I have two years to do now. gasp. the purple lo is so pretty and makes me laugh you wrote when you were a little girl, 'cause she still is! hee hee. so sweet!